I Will Sell Your Home For FREE! Make the right move now by claiming your FREE copy of What Every Person Needs To Know About Buying A Home. 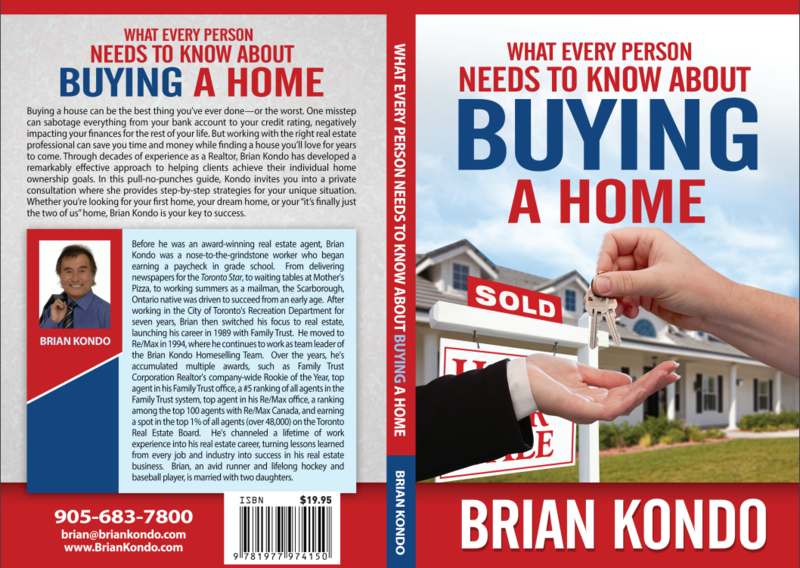 Whether you're buying your first home or you have years of experience as a homeowner or investor, this sought after book will reveal the exact systems and strategies Brian uses to help buyers secure financing, and buy their dream home and/or investment. This FREE book, offered at NO obligation, will give you a behind the scenes look at what a top real estate salesperson does to buy homes for the best price, and with the least amount of hassle. He'll also reveal to you the secrets every buyer should know in today's market. To request your Free book, please fill in the form or call us at 905-683-7800. Brian Kondo, Sales Representative of Re/Max Hallmark First Group Realty Ltd.